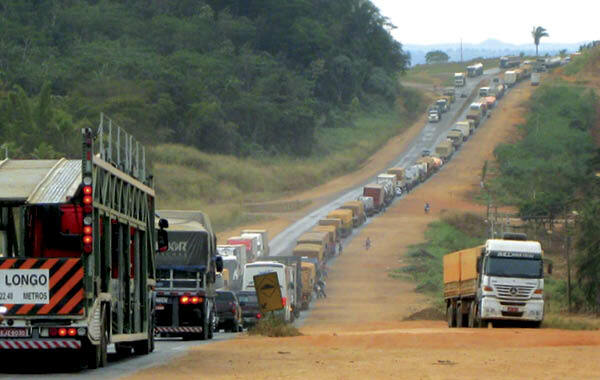 Infrastructure performance and transportation connectivity have long dogged Brazil's efforts to grow its economy. But the overwhelming success of London's 2012 Summer Olympics, and the mantle of responsibility and expectation that befalls the next in line, may force the issue. Brazilian President Dilma Rousseff recently announced a $60-billion-plus investment package to enhance the country's failing road and rail systems—part of efforts to solve serious transportation bottlenecks, spur a sputtering economy, and perhaps save face to the global community when it plays host to the 2014 World Cup and 2016 Summer Olympics. The project includes adding 6,200 miles of rail track and building or widening 4,660 miles of federal highways. The government is expected to soon announce other projects aimed at airports, ports, water transportation, and any other areas where serious deficiencies are hobbling the country's growth.